The CW has officially ordered The Vampire Diaries spin-off The Originals to series, the network announced last week. Starring fan favorites Joseph Morgan (Klaus), Daniel Gillies (Elijah) and Claire Holt (Rebekah), The Originals’ backdoor pilot aired on Thursday, taking fans of VD to New Orleans and delivering an awesome first episode. “As soon as we saw [Thursday’s] episode of The Vampire Diaries, we knew we wanted more of The Originals—Julie Plec and Kevin Williamson have done a fantastic job with The Vampire Diaries, which is as fast-paced and well-written as ever, and Julie has created an equally compelling world for The Originals,” the network’s president Mark Pedowitz said in a statement. The CW also announced an early pickup for The Vampire Diaries! That means we are officially getting a fifth season! A whole new season of Elena, Stefan and Damon! Two Vampire Diaries shows are coming our way – two! The original and the spin-off. It’s like Buffy the Vampire Slayer and Angel (although not quite as awesome). 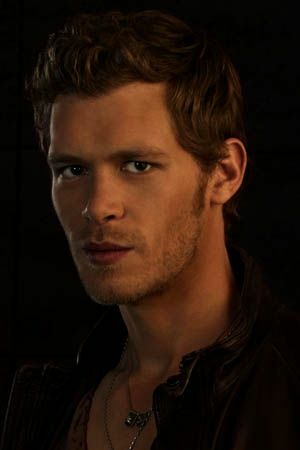 I am excited about The Originals… even if I have to put up with the dreaded Hayley. I’m also interested to see what kind of newness writers can bring to Season 5 of The Vampire Diaries. What are your thoughts on The Originals getting picked up and The Vampire Diaries getting a fifth season? Happy, excited, apathetic? Let us know in a comment below.